Paso Robles based Clayhouse Wines plays to its strength with a logo whose cursive signature reflects the hand-crafted nature of its wines and the four generation legacy of the family owned winery. It's balanced visually with a sophisticated rendering of 'WINES' neatly tucked underneath to create what is a simple, but effective mark. Recalling the romantic heyday of luxury train travel, the mark of Majestic American Line both in name and appearance excites the imagination. 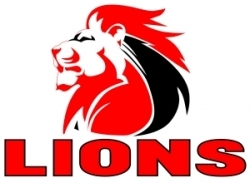 Formerly known as the Transvaal Lions and the Gauteng Lions, The Golden Lions is a South African provincial rugby union team whose storied history stretches back into the late 19th century. It's mark gives the organization a proud face and acts as a strong visual metaphor not unlike tribal war totems. Although common in strategy, the monogrammed logo of French winery, Henri Ehrhart is very pleasant in execution, expressing a personal touch to offset its staid, yet sophisticated typography. Named after the earliest form of paper crafted from the papyrus plant and specializing in greeting cards, stationery and printing services, the logo of Papyrus reflects the creativity, elegance and eloquence of its products and philosophy in a manner which is unique and memorable. Although the significance of its hummingbird icon is cryptic (symbolizing the legend which "say[s] that hummingbirds float free of time, carrying our hopes for love, joy and celebration"), its beautiful rendering and unique color is a visual asset which reinforces the emotive mission of the company. The majestic logo of the Eastern Wayne Wee Warriors is a wonderfully expressive illustration whose quality outsizes the 8U football team it represents.